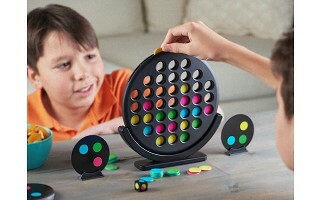 Double Spot is equal parts connect game, match game, and strategy game, all combined in one fun and colorful set. 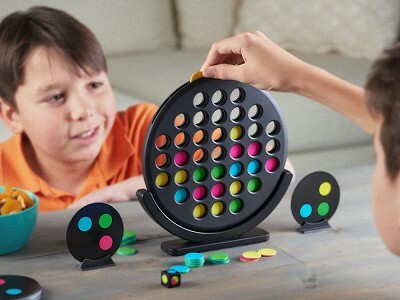 It’s a smartened-up twist on a classic game that has you working simultaneously with your opponent as you each try to make and spot the winning patterns. Each disc is double-sided with different colors, so while you’re piecing together a pattern from the game cards in play, your rival is doing the same thing on the other side. You’ll need to keep your eyes on the board (plus the luck of a dice roll) to make a match and claim a card first. The game moves quickly and who's winning can change quickly, too, as each card is claimed and a new pattern card is revealed. Win five cards and win the game. 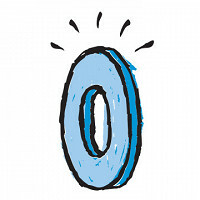 It might seem easy at first glance, but trust us, it takes some on-your-toes strategic thinking to be a Double Spot champion—and that’s all part of the fun. See playing instructions for full directions. How many players are there in the game? The game is made for two players.